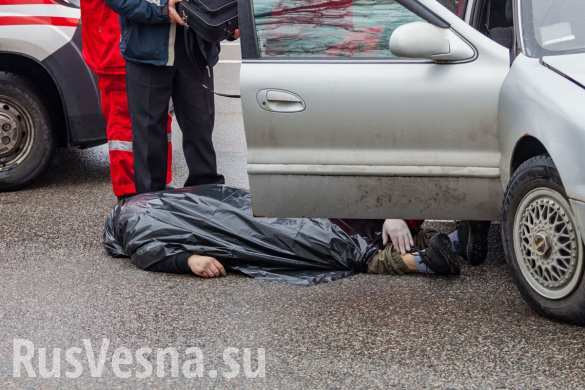 Yesterday in Dnepropetrovsk a well-known Ukrainian volunteer fighter, Leonid Krasnopolsky, was killed in a car accident. He was known for extremely Russophobic and extremist views. His SUV swerved on a tight corner and crashed – as a result of which he died on the spot. The day before his death, Krasnopolsky posted a status update in his social network, in which he mocked the death of the Russian Su-25 pilot in Syria. “Like a boomerang,” commented internet users.